Interview with Dr Dan Siegel, the father of Interpersonal Neurobiology. Get a peak into his thoughts on hope in our fear-based culture today, human kind across history and using this science to make changes individually and as a society. 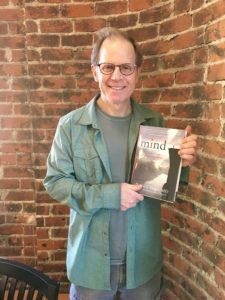 Patty Olwell & Sue Marriott speak with Dan Siegel about the most recent finding in IN and his new book, Mind: A Journey to the Heart of Being Human (A New York Times Best Seller). Co-host Dr. Ann Kelley supports backstage for this episode. Change your mental model of I and Thou. 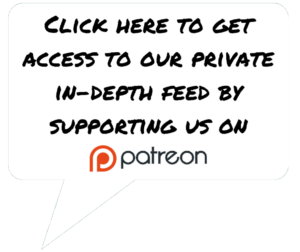 Human history over time – Sapians – (see resource list). Homosapians have been killing their brothers and kin since the beginning of recorded time, so any current cultural unkindness is part of our hardwiring. We can rise above it, but first recognize it as human. 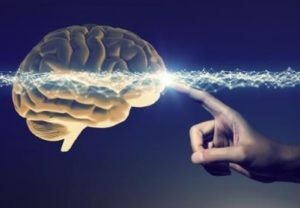 Interpersonal neurobiology – coined by Dan Siegel in 1999 is a way of living and viewing the world with a set of principles that lead toward integration. Integration – combining distinct specialized functions that link and connect the specializations together, creating harmony. This is a view that can be utilized within one person and across couples, families, organizations and nations. When a person is seen as the same, we have a natural resonance and empathy, if we feel safe we can extend that to those that appear Other. If we feel threat – even if we don’t know we are feeling it (nanoseconds of a threatening photo flashed, outside of our awareness) we respond strongly by turning off our empathy for the Out-group and turning up our response to the In-group. This is the explanation for what is happening here in the United States and Britain and many places around the world where genocides are occurring. Terror is driving this IN/OUT hostile behavior. With practice this can be changed. Say to yourself: My nervous system is making me treat the other person as an Out group member with more hostility, but that goes against my larger values of treating all human beings, all living beings with deep respect, as I would my In-group. We can rise above it. Rise above our brains initial proclivity towards bias and our mind to actively change how our brain ultimately carries out behavior – to be able to see the others mind and treat them as an in-group. Compassionately, fairly. Our leaders, people who run our country, organizations, educational institutions, clinicians, and people in positions to raise children… all have brains and minds that can overcome this biologic bias. We should see them as humans with limitations. Uninformed. They need safety to let down. Thread, the New Social Fabric – non-profit in Baltimore hailed by Dr. Siegel in the show.